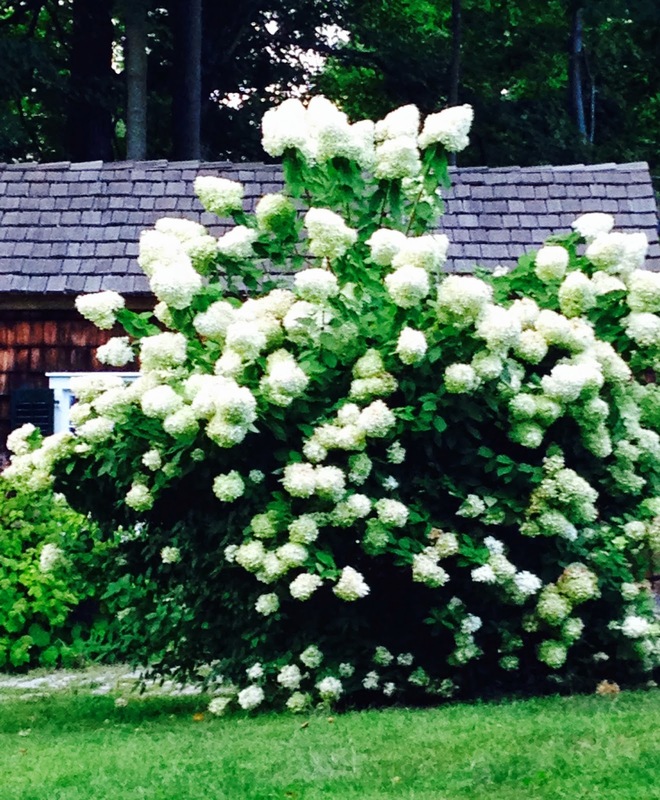 My hydrangeas are billowous with bloom and ready to harvest. Late summer to October is the optimum time. 1. Choose flowers that are completely opened. 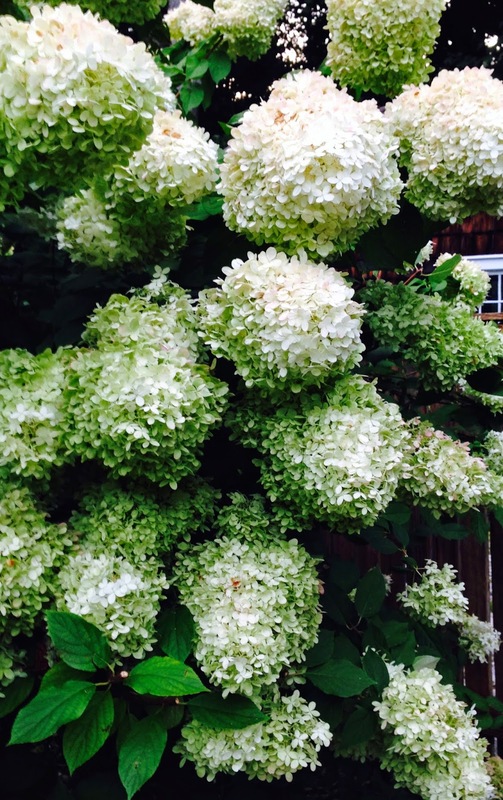 If the bloom is a little wimpy, come back in a few days and see if it has matured. 2. Pick them when the flowers begin to lose color but are still lushy. Be sure to pick them before a big rain storm, otherwise they will go from peak to brown quickly and you may have missed the boat for prime harvesting. 4. Remove the leaves. Arrange the stems in your favorite vase without water. 6. Spray the blooms with a mixture of glycerin (you can get it at CVS) and water to help keep them supple. Spray the blooms with hairspray to help them retain their color. 7. 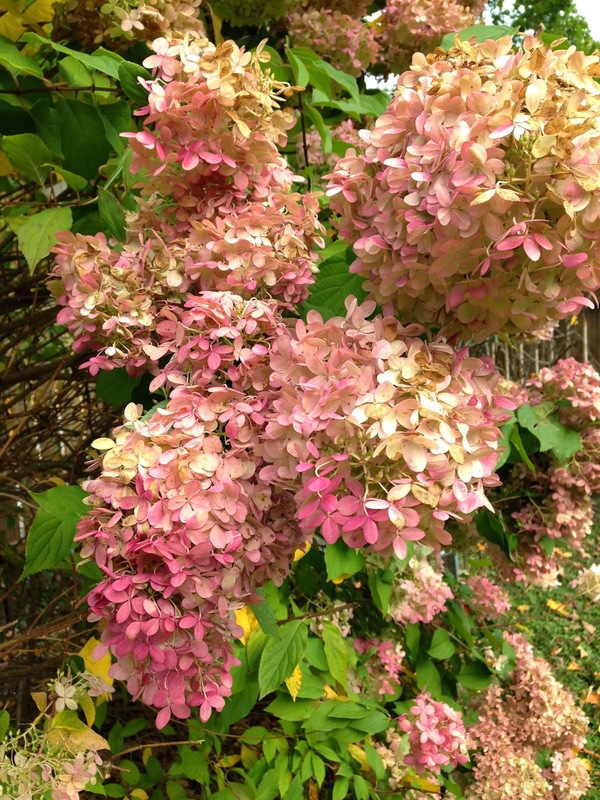 Enjoy the bountiful beauty of this glorious flowering bush.